We meet at the end of Armory Road on the grassy area next to the bathrooms by the playground. In case of very cold weather or rain on any of these days classes are held at the Northgate mall starting at 9:00am before the stores open. We meet inside the mall by the playground. 8 week Body Back transformation sessions are held in the grass behind the Mill Valley Community Center on Monday and Thursday morning’s at 9:45am. Drop off childcare is available through MVCC. We meet on the grassy area by the playground. There is parking in front of playground and then also to the side in front of the Mill Valley Police and Fire Station. Body Back® is an inspiring journey unlike anything you have ever done before. Dare we say it will change your life... Yes, it will. It doesn't just give you your body back...it gives you your whole self back... your mind, your body, your soul. Whether you are brand new to fitness or a seasoned athlete, these workouts will challenge you and motivate you to take your fitness to a whole new level. 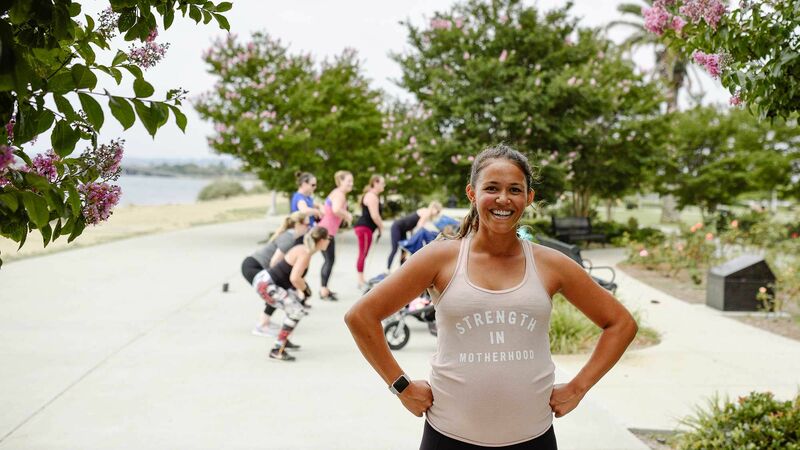 These classes are for moms only (no kids in tow). Each 8 week session includes fitness assessments, nutrition and coaching so you can see your incredible improvements in weight, strength and endurance. New sessions will start in March following preview classes. Bring yoga mat, water bottle, smiles and be ready to sweat. **Although this is a CrossFit Gym we don't hold crossfit classes here. Our classes are High Intensity Interval Training workouts with different components including mediation at the end of class. We use some of the same equipment, but we will not perform advanced weight lifting moves. Body Back drop in classes meet every Tuesday morning at 9:30am on the basketball courts behind the school, near the sand volleyball court.